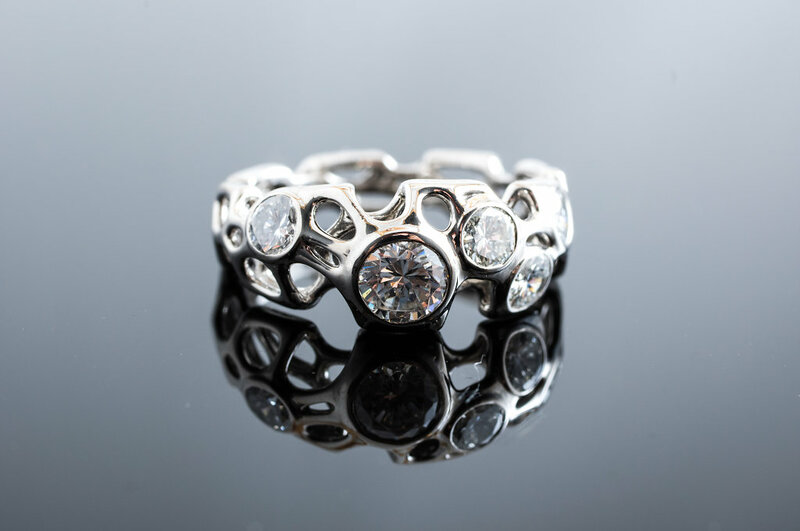 This custom engagement ring and wedding band set was cast in palladium from 3D-printed wax. 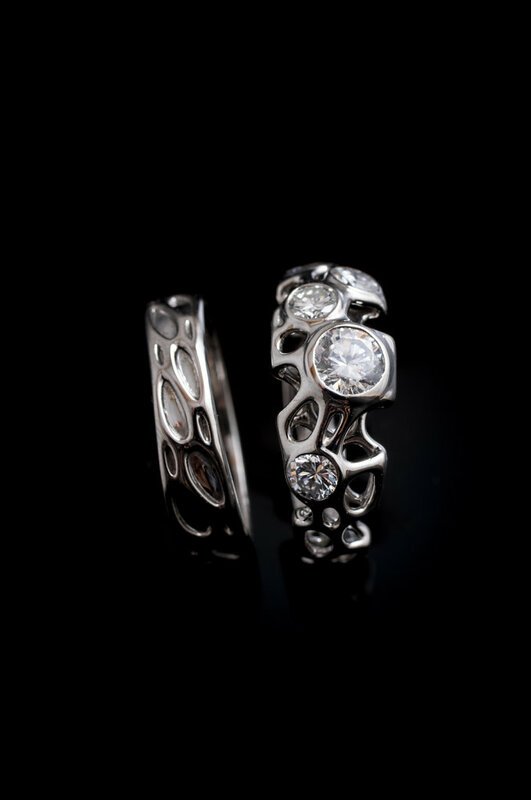 The engagement ring was designed to incorporate 5 diamonds that the client already owned in an asymmetrical pattern. 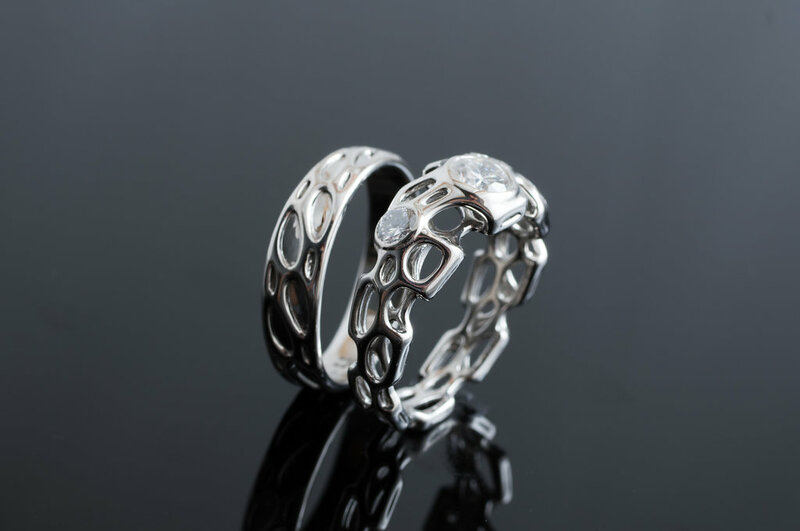 The couple's wedding bands each have the same twisting pattern of cells but they spin in opposite directions. The wife's wedding band nestles perfectly against one edge of the engagement ring. 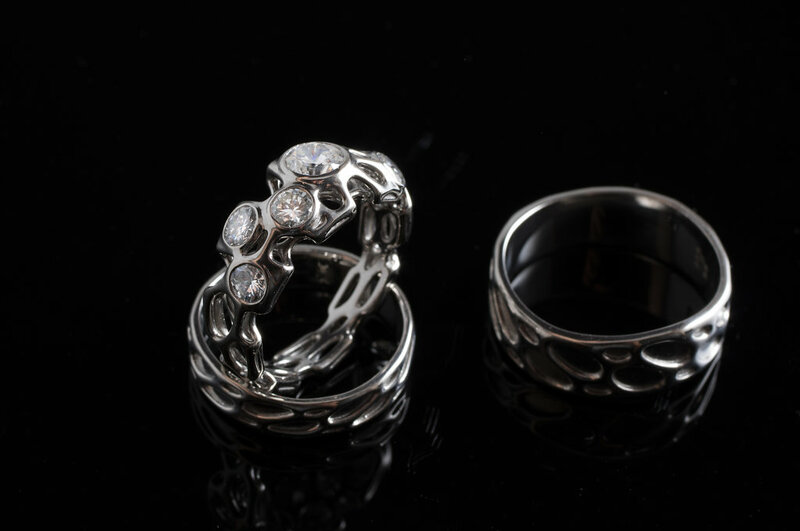 The wedding band and engagement ring nest together. 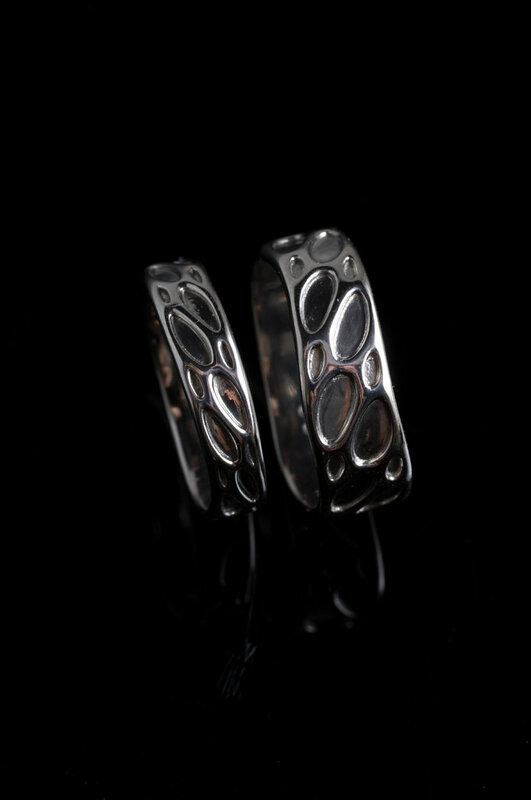 While they have the same cellular structure, they twist in opposite directions.